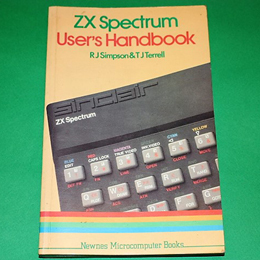 Primarily, a Spectrum hardware and software book, rather than a beginner's guide on how to use the Spectrum. It describes the features and operation of the machine and explains programming in BASIC and nachine code to enable you to exploit the Spectrum's features in many practical applications. Covers hardware, software, how to interface with peripherals, the sound facilities and the colour capabilities. Many original programs in BASIC and machine code are included, along with exercises and worked examples. This 198 page paperback book has a few scuff marks and the page edges are a little dirty, but overall it is in good condition.